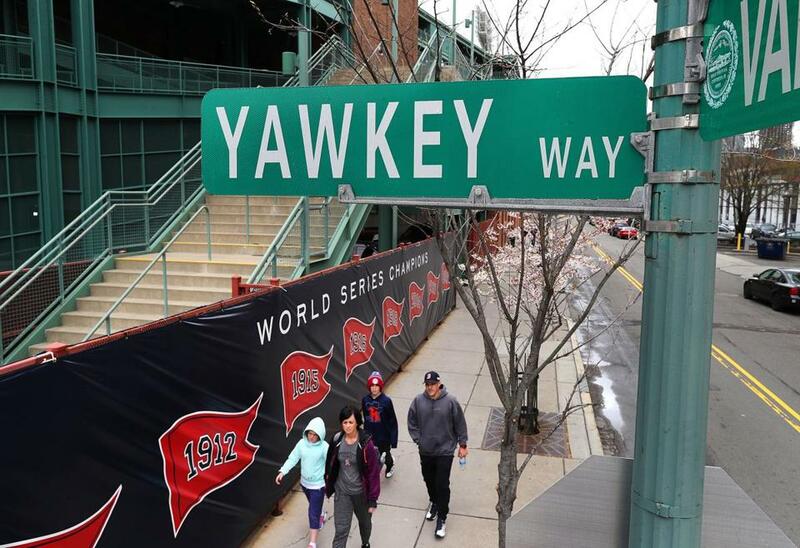 Boston Public Improvement Commission voted to change the name of Yawkey Way back to its original name, Jersey Street. With the swiftness of a unanimous voice vote, a little-known city commission agreed to rename Yawkey Way on Thursday, returning the stretch by Fenway Park to its original moniker: Jersey Street. It was a proposal that had for weeks pitted some of Boston’s power brokers against one another in the debate over Tom Yawkey’s legacy as Red Sox owner, philanthropist, and, some say, racist who oversaw what was once the most segregated franchise in baseball. The Boston Public Improvement Commission provided little insight into its decision-making — suggesting it had little choice given neighbors’ support of the name change. But the decision will reverberate throughout the city and baseball history, forging an unbreakable link between the Yawkey name and the allegations of racism that trailed him. “Tom Yawkey’s name will no longer be on the street, and I and others like me can go to Fenway Park feeling very proud of the Red Sox of today and of the city of Boston,” said Walter Carrington, a former member of the Massachusetts Commission Against Discrimination, who in 1959 investigated racism within the Red Sox organization under Yawkey’s leadership. The Yawkey Foundations, the philanthropic arm set up by the late Yawkey and his wife, Jean, quickly denounced the decision, saying it was based on a false “narrative” of racism. “We can’t change today’s decision, but we remain hopeful that he will be remembered as the good and decent man he truly was,” the organization said. So, what to call Yawkey MBTA station? If Yawkey Way is no more, what should we rename the nearby commuter rail station? The Red Sox organization, led by principal owner John Henry (who also owns the Globe), requested the name change to Jersey Street in February, saying the organization wanted to create a new environment at the “front door” of its ballpark. Researchers and historians have rekindled the debate over Yawkey’s legacy in recent years. The legacy was undeniable, they argued. From the players to the front office, the organization remained all-white well after African-American stars entered the Major Leagues. Infielder Pumpsie Green became the first black player on the team in 1959 — 12 years after Jackie Robinson broke baseball’s color barrier with the Brooklyn Dodgers. Carrington said Robinson once told him during his investigation that Yawkey was the biggest bigot in baseball. “We recognize we have a long way to go, but remain committed to building a spirit of diversity, inclusivity, and openness within our front office and our ballpark,” the organization said. The Yawkey Foundations supporters had argued that the former owner should be remembered for his broader legacy, including the hundreds of millions of dollars he donated to inner-city programs that benefited people of all demographics. That legacy, they said, will be forever tainted by the name change. The Public Improvement Commission, a panel of city department heads appointed by Walsh that reviews projects on public ways, accepted the request over the pleas of Yawkey’s supporters, who urged commission members to consider his history of charitable giving. RELATED: Jeff Jacoby: Should Faneuil Hall be renamed? Some of the city’s most well-known figures, such as philanthropist Jack Connors and Cardinal Sean O’Malley, spoke out against the street change, saying the Yawkey name — more specifically, the Yawkey Foundations — would be tarnished. That led state Representative Russell Holmes, whose district includes many of Boston’s black communities and organizations that benefit from the Yawkey Foundations, to question whether the advertisement was a threat that funding would be pulled if the name was changed. The decision could also have lasting implications on landmarks bearing the Yawkey name beyond Jersey Street. The MBTA announced that it will also change the name of the commuter rail stop by Fenway Park. The MBTA had said it would follow the city’s process. Meanwhile, more than a dozen institutions including nonprofit organizations that receive funds from the Yawkey Foundations still bear the name, such as the Yawkey Center for Outpatient Care at Mass. General Hospital. There is no indication that those organizations would change the name — a central concern of Yawkey’s supporters. Yawkey owned the Red Sox from 1933 until his death in 1976. Jersey Street was renamed in his honor the next year. City officials did not immediately say when the street signs would be removed, and the name Jersey Street officially reinstated. Michael Levenson, Adam Vaccaro, and Peter Abraham of the Globe staff contributed to this report. Milton J. Valencia can be reached at milton.valencia@globe.com. Follow him on Twitter @miltonvalencia.